GIRLS' DORMITORY has a very short runtime of just 66 minutes, which made it a perfect film to split over the last couple evenings and watch at the end of long, busy days without much time left for relaxing with a movie. GIRLS' DORMITORY is an entertaining film about a posh European school for teenage girls, circa 1936. Student Marie (Simone Simon, in her American debut) and teacher Anna (always-wonderful Ruth Chatterton) are each secretly in love with the school's director, Herr Dominick (Herbert Marshall). Scandal ensues when an innocent letter dreamy Marie wrote to her secret -- unnamed -- love is found in a wastebasket by a vindictive teacher. Will Marie be allowed to graduate? And will the school director realize he loves Marie or Anna? I was quite surprised with the direction the story took in the last 20 minutes or so; it ended completely differently from what I expected. I almost feel like I need to rewatch it now just to absorb it with my adjusted expectations. The cast all do a fine job. I didn't care for Simon much at the outset, as her posing and heavily accented English reminded me of Luise Rainer's wide-eyed one-note performance in DRAMATIC SCHOOL (1938). However, Simon's performance becomes more interesting as the film progresses and I ultimately enjoyed her in the role. She does a good job of conveying Marie's emergence from schoolgirl to a young woman in love. The film is part of the Tyrone Power Matinee Idol Collection, although Tyrone Power Jr., as he is billed, only shows up in the last few minutes. Power plays Marie's cousin, who attends her graduation and later takes her out to dinner. He lights up the screen, and it's easy to see why 20th Century-Fox received such positive feedback about their new young actor. GIRLS' DORMITORY was directed by Irving Cummings. The supporting cast includes J. Edward Bromberg, Dixie Dunbar, and John Qualen. June Storey, who would play Power's sister-in-law Gretchen in IN OLD CHICAGO in 1938, plays one of Marie's loyal friends. Reviews of other films in this boxed DVD set: LOVE IS NEWS (1937), SECOND HONEYMOON (1937), DAY-TIME WIFE (1939), THAT WONDERFUL URGE (1948), THE LUCK OF THE IRISH (1948), and I'LL NEVER FORGET YOU (1951). FRIDAY NIGHT LIGHTS, a low-rated but high-quality TV series, has been renewed for not one but two more seasons. NBC will continue its partnership with DirecTV, which began a year ago. New episodes run exclusively on DirecTV in the fall, then play on NBC starting in the winter. Seasons 4 and 5 will have at least 13 episodes apiece. Season 3 of FRIDAY NIGHT LIGHTS comes to DVD on May 19, 2009. Yesterday George Lucas and Steven Spielberg were on hand for the dedication of the new USC School of Cinematic Arts building. As I wrote in 2006, the new building was largely funded with Lucas's $175 million donation -- largest in USC history. Accounts of the dedication can be read at the L.A. Times (click title of post) and Variety. I posted a couple construction photos last August. A photo of the finished building is here. I'm especially looking forward to seeing the courtyard statue of Douglas Fairbanks, who helped found the cinema school 80 years ago this year. Elsewhere on the campus, a photo exhibit on the Barrymores has just opened at Doheny Library. The exhibit will include some of Lionel Barrymore's original artwork. USC's Barrymore collection includes scripts Lionel donated to the school. For those who are in the area, the Barrymore exhibit is open Monday through Friday until July 31st. 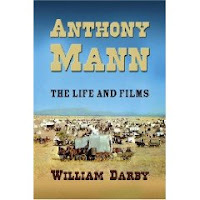 Here's a find -- thanks to my Dad -- sure to interest many film buffs: ANTHONY MANN: THE LIFE AND FILMS. This new book by William Darby will be out on April 13, 2009. Mann was previously the subject of a book by historian Jeanine Basinger; she updated her 1979 book in 2007. Mann films previously reviewed here include HE WALKED BY NIGHT (1948), which he worked on without credit; the outstanding THE TALL TARGET (1951), about a plot to kill Abraham Lincoln on the way to his inauguration; the entertaining western BEND OF THE RIVER (1952); and THUNDER BAY (1953), which I found to be one of Mann's lesser efforts. As part of our trip, we'll be taking the Eurostar train to the Disney resort outside Paris. The train goes directly from London's St. Pancras station to the gates of the Disney resort; it's a "Disney Express" which even includes luggage check-in to your resort while you're on the train. The trip will also be a wonderful opportunity for us to soak up some of our daughter's London experience firsthand, visit her university there, and so on. We haven't been to London -- our favorite city -- since we had children, so this is a big thrill. Needless to say, I hope to be sharing many photos on this blog in a few weeks! NO TIME FOR LOVE is a terrific romantic comedy starring Claudette Colbert and Fred MacMurray. This film has it all: marvelous comedy, great actors, a brisk pace (clocking in at 83 minutes), and a witty and creative script. The plot, which finds upper-class magazine photographer Colbert meeting working-class ditch digger MacMurray while on a photo assignment, is interesting and even exciting as it depicts work on an underground tunnel -- and the love-hate clashes between the lead characters. Colbert and MacMurray, who costarred in several films during their lengthy careers, are a wonderful team in this film. Their chemistry is electric. Colbert is at her best, tossing off witty lines and looking great in gowns by Irene. (Here's more on Irene's work on the film; Edith Head also contributed designs.) MacMurray is quite the hunky heartthrob in this one -- who knew?! Colbert and MacMurray receive great support from Ilka Chase and Richard Haydn. Chase plays Colbert's practical sister, while Haydn is a prissy pianist friend of Colbert's who adds a great deal of humor to the proceedings. June Havoc, Rhys Williams, Lillian Randolph, and Paul McGrath round out the cast. According to IMDb, Woody Strode and Alan Hale Jr. have bit parts, but I didn't pick them out in this viewing. The film includes a very different Dali-esque dream sequence in which MacMurray appears as Superman -- apparently the first time Superman was seen on the big screen. The scene looks far different from anything else I can remember seeing on film. The creative opening credits sequence is also deserving of mention, as the credits appear on sheets of paper Colbert is developing in her darkroom. This black and white film was directed by Mitchell Leisen, who was a frequent collaborator of both MacMurray and Colbert. Leisen's films with MacMurray include HANDS ACROSS THE TABLE (1935), REMEMBER THE NIGHT (1940), and TAKE A LETTER, DARLING (1942). Leisen and Colbert's joint films include the classic MIDNIGHT (1939). 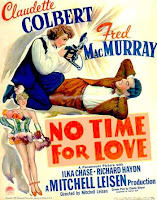 NO TIME FOR LOVE does not appear to have been released on video or DVD in the U.S., although it has had a Region 2 DVD release. It was recently shown on Turner Classic Movies, but since it's a Paramount film it's uncertain how soon they'll show it again. Moira Finnie, in an excellent piece on the movie last month, writes: "...this movie manages to juggle all of its comedic and romantic screwballs in the air throughout the brisk proceedings without dropping a one." I heartily concur with Moira's opinion. Highly recommended. Update: NO TIME FOR LOVE is now available on DVD in the Claudette Colbert Collection. It's also been released as a single-title DVD in the Universal Vault Series. This afternoon we met up with friends at Disneyland to enjoy the first-ever performance of the new Celebrate! Street Party parade. The parade is somewhat reminiscent of the Pixar Block Party parade which was formerly at California Adventure. 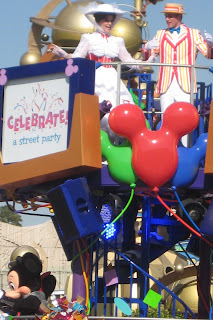 The parade floats stop in three different "celebration zones," and the cast members interact with the guests, including the formation of a conga line near the end of the performance. I thought this was one of Disney's less impressive parade efforts, but it was pleasant. The colorful floats tied in nicely with the festive "Celebrate" decor around the park this year. HULLABALOO is a very strange MGM "B" movie which almost defies description. The plot is a confusing hodgepodge concerning Frank Morgan trying to get a radio job to support his three ex-wives and three children. The huge cast, which includes some young actors on their way up in the MGM system and a variety of fine character actors, provides what entertainment value there is, but the film isn't up to MGM's typical standards. It's a bit of a relief when it comes to an end. Billie Burke, Sara Haden, and Connie Gilchrist play Morgan's ex-wives, with Nydia Westman appearing as prospective wife No. 4. Morgan's children are played by lovely Virginia Grey, Leni Lynn, and Larry Nunn. Dan Dailey (billed as Dan Dailey Jr.) is a young radio station manager who starts out engaged to the station owner's daughter (Ann Morriss) but soon finds himself attracted to Grey. Virginia O'Brien and Charles Holland sing specialty numbers which provide the greatest entertainment value, although the lyrics of "Carry Me Back to Ole Virginny" are painfully politically incorrect. Holland has a superb voice, and O'Brien sings both her numbers with her patented deadpan style. Lynn, a teen soprano, performs a pleasant version of "I Dream of Jeannie With the Light Brown Hair." The movie has way too much going on, and the plot device which has Morgan supposedly able to imitate the voices of a variety of actors is annoyingly phony; it sounded as though Robert Taylor dubbed in the lines for Morgan's imitation of his voice, and other actors' voices were clearly used as well, such as when Morgan "performs" a scene from the 1940 film BOOM TOWN. The supporting cast includes Reginald Owen, Donald Meek, Curt Bois, Barnett Parker, and Leo Gorcey. HULLABALOO was directed by Edwin L. Marin. It was shot in black and white and runs 78 minutes. 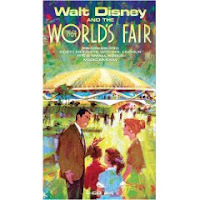 Here's something brand-new which looks really neat: WALT DISNEY AND THE 1964 WORLD'S FAIR, a CD and book set which was just released this week. The set has 5 CDs, with over 3 hours of material, plus a 24-page booklet detailing the contributions of Walt Disney and his Imagineers to the 1964 World's Fair. Disney's attractions at the World's Fair included the Carousel of Progress (which can still be enjoyed at Disney World), Great Moments With Mr. Lincoln (soon to return to Disneyland), the Magic Skyway, and perhaps most famously, It's a Small World. This set looks really beautiful. I expect it will be joining my Disneyland collection very soon, so as not to run the risk of waiting too long and finding it's out of print. Previous posts which include information on Disney and the World's Fair: January 18, 2008 and February 9, 2008. The model of the Tower of the Four Winds mobile, another of Disney's Fair creations (shown in a photo in the February post), is one of my favorite things at Disney World. It's on display in the Contemporary Resort near Mary Blair's Grand Canyon murals. 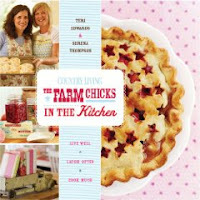 THE FARM CHICKS IN THE KITCHEN: LIVE WELL, LAUGH OFTEN, COOK MUCH is a beautiful new recipe book by Teri Edwards and Serena Thompson. The colorful cover immediately caught my eye when we spent some time browsing in Barnes & Noble this afternoon. In addition to the recipes, the book is part autobiography and part craft ideas. All of it is a visual feast which looks like it's going to be as much fun to read as it will be to try the recipes. A card to redeem for a one-year subscription to COUNTRY LIVING is included in the cost of the book, or it can be mailed in for a $5 rebate. I came across an article with the news that my favorite TV show, MAVERICK, has been digitally remastered and will be sold via the new Warner Archive. MAVERICK stars James Garner, Jack Kelly, and Roger Moore. Other shows which will be sold via the Archive are 77 SUNSET STRIP, HAWAIIAN EYE, and SURFSIDE SIX. I'll be curious to see how they sell TV series. Films are currently retailing for $19.95 via the Archive. More interesting info on the Archive: "The films will be available only at WarnerArchive.com for at least 90 days. The studio is in talks to make them available to retailers and other outlets after that." George Feltenstein of Warner Bros. said that as of Monday afternoon, on the Archive's first official day, the site had sold "thousands of units." My previous posts on the Archive can be found here and here. LITTLE OLD NEW YORK is the heavily fictionalized story of Robert Fulton (Richard Greene), the inventor of the steam engine. Fulton, the "American Da Vinci," was also an artist. The film depicts Fulton's quest to build a ship powered by his steam engine, with the help of his landlady (Alice Faye) and a shipbuilder (Fred MacMurray). All this takes place in early 19th Century "little old New York," which is populated by people with names like Astor and Roosevelt. The movie is mildly engrossing, although it drags on a bit too long as one difficulty after another besets Fulton's project. In his review in the New York Times, Frank S. Nugent wrote the film is "...not too dull, not too exciting and signifying nothing more than a mildly diverting screen show." That's a pretty accurate assessment. Greene is pleasant enough as Fulton, though not a particular standout. Greene is perhaps best known as TV's ROBIN HOOD in the '50s. LITTLE OLD NEW YORK is one of a number of films Greene made at Fox prior to his service in WWII; he starred in THE LITTLE PRINCESS, THE HOUND OF THE BASKERVILLES, KENTUCKY, and John Ford's FOUR MEN AND A PRAYER and SUBMARINE PATROL. 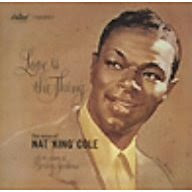 His postwar films included FOREVER AMBER and THE FAN. This was strictly a non-singing role for Alice Faye, other than a couple choruses she sings in a group number. The role of a tavern owner of the early 1800s is quite a contrast from other Faye parts, such as the elegant countess she played in THAT NIGHT IN RIO (1941). Faye's Pat is a rough-hewn, uneducated dreamer with a loud mouth, who isn't always the sharpest knife in the drawer. It's interesting seeing Faye in the role, although it's far from the most appealing character she ever played. 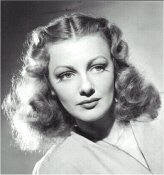 New York Times reviewer Nugent liked Faye, saying he found her "...a good comedienne...as a tavern wench with delusions of grandeur and a yen for a bustle, she begins to realize the comic possibilities latent in a pair of blue eyes of high batting average and a mouth that was never meant for Lady Macbeth." MacMurray is mostly on the sidelines in a supporting role as Faye's long-suffering, exasperated beau. The cast also includes Brenda Joyce as Fulton's love, Harriet, and the wonderful Henry Stephenson as Harriet's uncle. Ward Bond is the film's villain. Andy Devine and Fritz Feld are also in the cast. The film was directed by Henry King and runs 100 minutes. The cinematography is by Leon Shamroy. It's not available on DVD or VHS, but it can be seen occasionally on Fox Movie Channel. December 2012 Update: LITTLE OLD NEW YORK is now availble on DVD-R from the Fox Cinema Archives. Nearly a year ago I posted about a project to restore a statue of Myrna Loy to Venice High School in Los Angeles. vandalized and generally deteriorated over the decades. A kind reader who has been looking into the restoration project provided me with additional information. The statue is at a studio in Cambria being recreated in sturdier bronze and should be done by the end of the year. It will be reinstalled with security features including a higher pedestal and a surveillance camera. The project is costing over $200,000. Peter Schwab, Class of '61, has donated over $75,000 of this amount. Alumni are still fundraising to complete the project. I know there are many Myrna Loy fans among my readers and thought this information might be of particular interest for those who missed this story the first time around. There is word this week about the upcoming closure of two Los Angeles institutions, The Jazz Bakery and The Cook's Library. 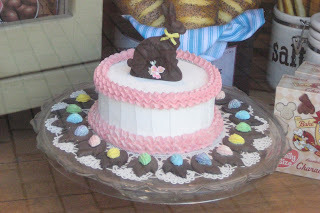 The Jazz Bakery, located at the site of the former Helms Bakery, has lost its lease and hopes to reopen elsewhere after closing May 31st. My husband and children have been to Christmas concerts at the Jazz Bakery on a couple occasions in recent years. You can read more about the Helms Bakery District here. Do other Southern Californians remember the yellow Helms truck coming down the street every day? When I was little we used to save our nickels to buy candy and donuts when the truck came by. The independent bookstore The Cook's Library closes April 30th. You can read more details in an L.A. Times article (click title of this post). Since I first learned of The Cook's Library a couple years ago, I've been meaning to drive up to L.A. and visit it, but alas, I waited too long, unless I want to take advantage of their closeout sale. 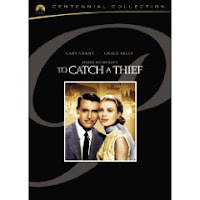 Alfred Hitchcock's TO CATCH A THIEF, starring Cary Grant and Grace Kelly, has been released today in a new two-disc special edition in the Paramount Centennial Collection. The movie has had previous DVD releases in 2002 and 2007. The picture quality of the 2007 DVD was widely acknowledged to be a vast improvement over the previous release. The new edition has new extras, including a commentary track by Drew Casper, who holds the Alma and Alfred Hitchcock Chair at USC. Casper has previously recorded commentary tracks for Hitchcock's LIFEBOAT and the most recent release of NOTORIOUS. Additional new extras include featurettes about the Production Code and a Q&A session with Alfred Hitchcock's daughter, Patricia, at Casper's USC film class. There are also multiple featurettes specific to TO CATCH A THIEF; some are holdovers from previous releases, including a featurette about costume designer Edith Head. A review at DVD Talk sorts out new and old extras for those who may already own the movie and are considering whether to invest in the latest release. This post at DVD Times also differentiates new and old extras. As long as they were reissuing the movie again, it would have been nice if they could have offered "value added" and included the Peter Bogdanovich commentary from the 2007 release, but otherwise this set looks like a great buy for fans of Hitchcock, Grant, and Kelly. I typically wait to read summaries of the annual live chats Home Theater Forum holds with George Feltenstein of the Warner Bros. "catalog" DVD division, catching up with the news later at sites such as The Digital Bits. Due to the major news regarding the Warner DVD Archives, I monitored tonight's chat and juggled taking some notes while I was working. I'm going to share my notes below. In summary, although Mr. Feltenstein said that the Warner Archives "DOES NOT replace our retail initiatives. THEY REMAIN FULL SPEED AHEAD," it seemed to me as though there weren't all that many retail releases planned. There is some good news here and there regarding Film Noir Vol. 5, Esther Williams Vol. 2, the long-awaited complete SHOW BOAT set, and more, but question after question was met with the answer that the titles would be released via the Warner Archives. Most ominously for fans of DVD boxed sets, a query about another volume of MGM Dream Factory musicals was answered with the info that more Jane Powell musicals would be released via the Warner Archives. Nothing was said about a future boxed set. Similarly, a question about the long-awaited John Garfield boxed set was answered with the news that Garfield movies would be available this summer via Warner Archives, which leads me to think the boxed set may no longer be in the works. All in all, the Warner Archives news strikes me as a mixed blessing. We have the guarantee of being able to eventually obtain virtually any desired MGM or Warner Bros. film we wish on DVD, which is incredibly amazing. However, it looks like the boxed sets -- with their much better per-film pricing, plus lots of extras -- will continue to decrease in number. This would probably have happened in any event, between the poor economy and declining DVD sales, so the Archives may well be a great blessing for this reason as well, yet it's rather sad to come away from a two-hour chat with so few retail DVD announcements. The biggest concern to me is that rather than being able to pick up a boxed set at roughly $4-$8 per film (at least in terms of Amazon or Deep Discount type pricing), which includes extras in that cost, we're now looking at $20 per movie for "plain vanilla" releases that may or may not contain trailers. That's a hundred dollars for just five movies, eeek! The bottom line, I suppose, though, is it's better to have a choice of everything, even at a steeper price, than to have a) few classic movies available in the future due to decreased retail releases and b) many lesser-known titles never released on DVD ever. I did not take any notes regarding Blu-Ray due to my lack of interest in that format. My notes are as follows. I tried to be very accurate but if anyone finds an error please feel free to notify me via the comments. ..."The discs are of the highest quality." ..."This DOES NOT replace our retail initiatives. THEY REMAIN FULL SPEED AHEAD." ..."Almost all titles will be available...just give us time to work it out." ...Looking at doing deluxe boxes of "premier" silent films with Kevin Brownlow, along the lines of what Fox has done. ...20 additional silents coming to Warner Archive soon. ...Jane Powell musicals coming to Warner Archive as well as Ginger Rogers comedies. ...Retail set of Monogram Charlie Chans being released in early 2010 from original nitrate negatives. ...Film Noir Boxed Set Volume 5 coming in "a few months," with further titles to be released via the Archives. No titles mentioned for Vol. 5 but it will not have THE LOCKET or BORN TO BE BAD. ...MAGNIFICENT AMBERSONS still in development...extras taking a lot more time and money than expected. Will have "significant" materials on the film's production history. JOURNEY INTO FEAR comes out at same time. No date locked in. ...Shorts will be released via the Archive. First shorts sets in early 2010. Cartoons, Pete Smith, Joe McDoakes, eventually "everything." ...More "Smilebox" Cinerama movies like HOW THE WEST WAS WON under discussion, but nothing set. "Working on some interesting explorations in this regard." ...NO TIME FOR SERGEANTS may come out soon. ..."Evaluating film elements on Jeanette and Nelson films." MGM B&W nitrates are "always a hinderance (sic)." ...Original negative for MERRY WIDOW did NOT burn in Eastman House fire; hope to restore soon. ...Early Cagney films coming to Warner Archive "shortly." ...Working on BOWERY BOYS movies. ...David Lambert from TVShowsOnDVD says he's heard comments today that $19.95 is a tad high in today's economy. Would they consider a sale like Buy 2 Get 1 Free? Answer: Service officially launched today to "astonishing sales" and the "issue of pricing as a concern has not been discussed." ...Karloff/Lugosi horror films coming out at Halloween. More horror and sci-fi at Warner Archive. ...Will there be a Gangsters Vol. 5? Answer: don't have any more gangster sets lined up. But..."you guessed it"...more Bogart/Cagney/Robinson/Raft will be available through the Archive. ...Warner Romance Classics (Troy Donahue) set sold very well. ...MISSION TO MOSCOW and McCrea Westerns (incl. TALL STRANGER, COLORADO TERRITORY) coming to Archive this year. ...Newman's THE PRIZE being remastered. ...ESTHER WILLIAMS VOL. 2 TCM SPOTLIGHT boxed set coming this summer. ...Coming to Archive in 2010: HOME BEFORE DARK, YOUNG BESS. ...5 previously unreleased Garland films including LITTLE NELLIE KELLY coming Spring 2010 along with super-restored A STAR IS BORN. ...25 more Westerns coming to Warner Archives this year, including "several" Randolph Scott films next month (including TRAIL STREET). ...The long-awaited Jean Harlow boxed set will come out for her centenary in 2011. "Worth waiting for." ...Garfield movies long awaited on boxed set coming to Warner Archives "in summer." ...CONSTANT NYMPH they are trying to free up from legal rights limbo. ...GLASS MENAGERIE was originally produced at Warner Bros. but Fox now owns the rights. ...GREED will come out via planned series of silent films done with Kevin Brownlow. Update: I attempted to "kick the tires" and place my first order, for PRIVATE LIVES, this evening, but after setting up my account I was repeatedly told that my order could not be processed and to "check my payment settings." I did this twice and am certain everything was correct, so I'm going to assume maybe the site was overloaded on its first official day and hope for better luck tomorrow. I noted they are charging tax, which currently brings the price of a DVD from $19.95 to $21.40 for California residents. Ground shipping was advertised as $4.95, but they were offering free shipping when I attempted to order. Update: Stranger and stranger: an order confirmation just showed up in my email box. Fortunately (so far) it only shows me ordering the DVD once! Wednesday Update: Here is another post with more information, including a list of TV series which will be sold via the Archive. California To Ban Large TV Sets? Last January I wrote about Great Britain planning to ban plasma TV sets to combat alleged global warming. At the time I mentioned that it looked like California would follow Britain's lead, and according to Ed Morrissey (click title of post), that ban is likely to happen later this year. As many as 25 percent of all TVs sold in California may be banned. Most of them will be over 40 inches. Less freedom and more pain for California's flailing economy. Just what we need. Update: Here are some related charts of interest from Power Line. Verrrry interesting DVD news comes from Thrilling Days of Yesteryear and Something Old, Nothing New: Warner Bros. is going into the "made to order" DVD business. The first 150 films available are listed here. On the other hand, there are titles in which I'm extremely interested, starting with PRIVATE LIVES with Norma Shearer and Robert Montgomery (very exciting!) and CLOSE TO MY HEART with Ray Milland and Gene Tierney, and there are some favorite titles that I'd like to obtain on DVD. I will definitely be taking advantage of this program...I suspect I'll have PRIVATE LIVES in my hands within the next couple weeks. I applaud Warner Bros. for deciding to make so many titles more widely available on DVD, with the promise of more to come. This also seems like a great opportunity to obtain DVD copies of relatively obscure films which have a loyal following among classic film fans but might not rate a fullscale DVD release...for instance, I'd love to see future releases of the Sloan "FAST" mysteries or the FOUR DAUGHTERS series if there's no hope of seeing them released in a more elaborate set. Overall this strikes me as an exciting development, especially if the economics are such that we are going to be seeing fewer boxed set releases. With a few notable exceptions, the pace of classic film releases on DVD seems to have slowed way down this year. And as a side note, I share the interest of the commenter at Thrilling Days of Yesteryear in buying season sets of MAVERICK! I was thrilled to recently discover I can see all the episodes online via Netflix, but I'd really love to own them all. There is lots more info here, including a quote from Warners' George Feltenstein: "The goal is to eventually make EVERYTHING available." Twenty titles a month may be added to the list. Movies will be available for digital download as well as on disc. Glenn also linked to this AP article. This article is also filled with detailed info, including the word that TV shows will be included in the releases -- so there may yet be hope for fans of MAVERICK and other classic TV shows not released on DVD. Warners sees this as a way to keep DVD business plugging along despite the poor economy and the overall downturn in DVD purchases. Here's more from Susan King at the L.A. Times. Each disc will include the trailer if it's available, which is wonderful news for people such as myself who love movie trailers. There is a live chat with Feltenstein tonight at Home Theater Forum. It's advertised as follows: "Our friends from Warner Home Video apologize for the delay in bringing you their annual chat. The delay has enabled them to culminate many new exciting projects, all of which will be announced during this chat." I suspect this will be a very hot topic this evening. Hopefully we'll soon learn the fates of the boxed sets for Turner, Tracy, and others which are mentioned in the comments for this post. Afternoon Update: Here are thoughts from J.C. Loophole at the Shelf. (And thanks for the nice compliment, J.C.!) J.C. includes a link to a Feltenstein interview at the International Herald Tribune, which includes this quote: ""There are still thousands of movies that we own that consumers haven't been able to get. I expect that we'll be selling thousands of copies of every title over a period of time, and making a lot of people really happy." They also quote Debbie Reynolds, who says that in the future she won't have to resort to a movie projector and bootleg copies to see her old movies: "It just seems like a miracle it can be done this way." Reynolds' THE DAUGHTER OF ROSIE O'GRADY is expected to be included in a future wave of releases. USA Today quotes Feltenstein as saying: "Our goal is to eventually open up our entire vault," Feltenstein says. "We've been working on this for three years. I've always said it would be great if people could buy anything in our library, and now the time has come, because the technology finally exists." Feltenstein said the criteria for these new releases will be based on many factors, including how well a film sold on VHS, consumer requests, and how much interest there is in bootleg copies on the Internet. In light of the above, I particularly encourage fellow film fans to keep visiting Turner Classic Movies and voting your interest in DVD releases when you come across titles of interest, as this is one way to help express consumer support. As regular readers know, I often link to these individual pages when I review movies which are only available on TCM; if you haven't yet visited TCM to do this, one example of such a page is linked at the end of my post on KEEP YOUR POWDER DRY. Amazon also sometimes has entries for out-of-print titles where consumers can click to indicate interest. Monday Evening Update: Here is a post with detailed notes I took from this evening's Home Theater Forum live chat with George Feltenstein of Warner Bros. Most -- but not all -- of the info shared about classic film releases for both retail DVD and via the Archives is included in my notes. I also added a bit of information to that post about my first attempted order. Wednesday Update: Here is my latest post which includes information on TV series which will be released via the Archive. Yes, MAVERICK is on the list! The movie stars Lana Turner, Laraine Day, and Susan Peters as three women from very different backgrounds who join the WACs (Women's Army Corps) during WWII. Turner is a trust fund baby trying to prove she deserves to be awarded her inheritance; Day is a know-it-all Army brat; and Peters is the tender-hearted newlywed bride of a soldier. Turner and Day's characters clash immediately, while Peters plays peacemaker. Agnes Moorehead, Lee Patrick, and 19-year-old June Lockhart are fellow WACs. Although some brief reviews I'd read indicated the film was no great shakes, my daughter and I found it quite entertaining. It would be hard to make a dull movie with those ladies on the screen! All three lead actresses do a good job with the material, which does include a few hokey lines now and then. The film has a nice mix of glamour (Turner's stunning introduction must have wowed G.I.s all over the world), humor (a couple laugh out loud moments), patriotism, and pathos. This is a movie I'll enjoy viewing again in the future. 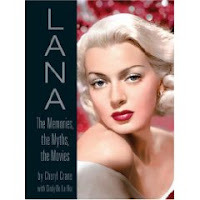 In the superb book LANA: THE MEMORIES, THE MYTHS, THE MOVIES, Lana Turner's daughter, Cheryl Crane, said her mother and Laraine Day did not get along making this film -- another reference source indicates top billing may have been a source of tension -- but that years later, when Day was Mrs. Leo Durocher, they were part of the same social set and became friends. I'd previously seen Susan Peters in her Oscar-nominated role in RANDOM HARVEST, as well as in SANTA FE TRAIL, THE STRAWBERRY BLONDE, and MEET JOHN DOE; I don't recall her in the latter two roles, which seem to have been bit parts. Peters had a tragic life, as recounted by Raquelle in her post at Out of the Past; I wrote a bit about Peters' accident and her husband, director Richard Quine, in a 2007 post on Quine's film IT HAPPENED TO JANE (1959). Peters was a lovely actress, and her accident and early death were a great loss to films. This black and white film was directed by Edward Buzzell. It runs 93 minutes. KEEP YOUR POWDER DRY is not on video or DVD, but it can be seen on Turner Classic Movies. You can vote to indicate interest in a DVD release on this page at TCM. TCM has two trailers available to view online; the first advertises the film as a drama, and the second sells the film as a comedy. Summer 2010 Update: KEEP YOUR POWDER DRY is now available in DVD-R format from the Warner Archive. May 2017 Update: My review of the Warner Archive DVD has been posted. 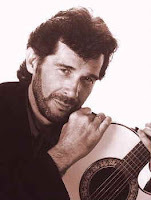 Eddie Rabbitt was one of my favorite country singers. In his relatively short career Eddie had over two dozen No. 1 hits. This upbeat tune (click title of this post) is my favorite among many great songs, which included "Drivin' My Life Away," "Someone Could Lose a Heart Tonight," "Two Dollars in the Jukebox," and "Just You and I," a duet with Crystal Gayle. I also enjoyed knowing that Eddie was a fellow fan of POLDARK, to the extent that he and his wife named their daughter Demelza after the heroine. Eddie died of cancer over a decade ago, at far too young an age, but his music lives on and continues to bring joy to his many fans. Our youngest son's birthday is tomorrow, and we started the celebration by meeting friends today at Disneyland. It was a gorgeous day, although we found the park was unusually crowded -- perhaps because some areas have spring breaks this week instead of closer to Easter. We had a wonderful time but we didn't mind leaving by mid-afternoon and escaping the crowds. Thanks to having passes, we know there will be more days to enjoy in the future! Fans of Ann Hampton Calloway might like to know she released a new CD last month. The CD is titled AT LAST, after a favorite song of mine by Gordon & Warren. You can see the song performed in a YouTube clip from ORCHESTRA WIVES, where it's played by the Glenn Miller Orchestra, with vocals by Ray Eberle and Pat Friday, dubbing actress Lynn Bari. A couple weeks ago Scott Johnson of Power Line wrote a nice essay on Calloway. Calloway's official website is here. You can hear Calloway singing "At Last" when you open the page. Back on March 5th I asked the question But Were They Region 2 DVDs? in reference to President Obama's gift to the British Prime Minister. According to the British press, they were not Region 2 DVDs. Prime Minister Brown was sent home with Region 1 DVDs, which are meant only to be played in the United States. Region 1 DVDs can only be played in Europe with a special "all-region" player, which the Prime Minister apparently does not own. 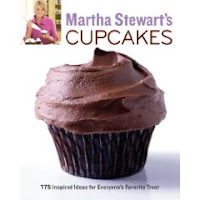 Martha Stewart is joining the cupcake craze: her latest book, MARTHA STEWART'S CUPCAKES, will be released on June 2nd. I've been especially impressed with MARTHA STEWART'S COOKIES and MARTHA STEWART'S COOKING SCHOOL, so I'll be checking out her latest release. Actress Betsy Blair, the Oscar-nominated leading lady of MARTY (1955), has passed away in London. 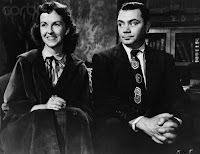 Ernest Borgnine, who played the title role in MARTY, is quoted by the Los Angeles Times as saying Blair was "the nicest person you could ever want to meet." Blair's other films include THE SNAKE PIT (1948) and MYSTERY STREET (1950). She is also known as Gene Kelly's first wife. They had a daughter, Kerry, who survives her mother. Blair published a memoir, THE MEMORY OF ALL THAT: LOVE AND POLITICS IN NEW YORK, HOLLYWOOD, AND PARIS in 2003. This seems to be a week for watching movies from 20th Century-Fox! Tonight I followed CONEY ISLAND, CARNIVAL IN COSTA RICA, and THE LUCK OF THE IRISH with the entertaining musical THAT NIGHT IN RIO, starring Don Ameche, Alice Faye, and Carmen Miranda. THAT NIGHT IN RIO is in the tradition of other colorful Fox south-of-the-border musicals such as DOWN ARGENTINE WAY (1940) and WEEK-END IN HAVANA (1941). These exotic settings were popular during the early '40s -- and on into the late '40s, as evidenced by 1947's CARNIVAL IN COSTA RICA -- as an escape from anything to do with Europe and the war, and the films also aided our country's "Good Neighbor Policy" seeking to improve our relationship with Latin America. The original New York Times review remarks on the film being part of Hollywood's "campaign to woo Latin America." 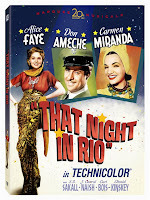 Of course, the movies were still filmed on soundstages, sometimes incorporating location stock footage -- though I don't remember them even bothering to do that much for THAT NIGHT IN RIO -- but thanks to the unique Carmen Miranda, gorgeous costumes, and the music, these musicals still managed to convey great Latin atmosphere, albeit very generic and "Hollywoodized." They are basically escapist '40s fantasies, creating a world which might not have really existed but which is tremendously fun to visit. The plot of THAT NIGHT IN RIO concerns Larry, a nightclub entertainer in Rio (Don Ameche) who is a dead ringer for an aristocratic businessman, Baron Duarte (also Don Ameche). Larry has a temperamental girlfriend (Carmen Miranda), while the Baron has a distant relationship with his beautiful wife Cecilia (Alice Faye). Circumstances lead to Larry temporarily pretending to be the Baron, and this being a Hollywood musical, he is able to resolve the Baron's business troubles and help the Baron and Cecilia fall in love again. The film is a lot of fun, and has some good Warren-Gordon numbers, including Miranda's "Chica Chica Boom Chic" and "I-Yi-Yi-Yi-Yi I Like You Very Much." (The dances were staged by Hermes Pan.) My favorite song was the haunting title melody, dueted by Ameche and Faye. Faye looks particularly gorgeous in this film, wearing gowns by Travis Banton. When she sings the sultry title song, she wears a fur-lined cape and hood, and is seen in beautiful close-ups showing off her blonde curls and blue eyes; W. Franklyn Moshier writes in THE ALICE FAYE MOVIE BOOK that this was Faye's second Technicolor film and "...audiences still fondly recall her first entrance wearing the pale blue evening gown with its hood trimmed in sumptuous fur." Later, during a dance sequence, Faye wears an eye-popping, skin-tight gold lame dress. The film was the sixth and final teaming of Faye and Ameche. Ameche has a good time playing two different roles, and Carmen Miranda is, well, Carmen Miranda! The supporting cast includes S.Z. Sakall, J. Carrol Naish, Curt Bois, Leonid Kinskey, Lillian Porter, and Maria Montez. THAT NIGHT IN RIO is a remake of FOLIES BERGERE (1936), which starred Maurice Chevalier, and it was later remade with Danny Kaye and Gene Tierney as ON THE RIVIERA (1951). THAT NIGHT IN RIO was directed by Irving Cummings. It was photographed by two great Technicolor masters, Leon Shamroy and Ray Rennahan. The film runs 91 minutes. 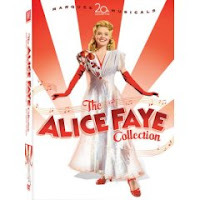 THAT NIGHT IN RIO is part of Volume One of the Alice Faye Collection. It's also available as a single-title DVD release. The DVD also contains a Faye-Ameche rendition of "Chica Chica Boom Chic" which was cut from the release print. This film can also be seen periodically on Fox Movie Channel. Last week Disney unveiled a previously top-secret online project, D23, "The Official Community for Disney Fans." Many Disney fans like me have spent the last few days figuring out exactly what D23 is and what it offers. The "23" in D23 refers to the year the Disney Studio was founded. There are free and paid components of D23, which are listed in a rundown at MousePlanet. The annual D23 membership fee is a steep $74.99 which gets you the magazine, an e-newsletter, a membership certificate, a surprise gift, and "exclusive special events and merchandise." Based on the descriptions thus far, this doesn't seem to be something for which I'll be saving my pennies, especially if the membership is geared toward steering members toward high-end merchandise. I love Disneyland merchandise, but there is a limit to what I can afford and display, and I already have more than enough items tempting me on visits to the park... The website and magazine are of interest to me, and both can be enjoyed without joining D23. That said, I'll be watching news of D23 closely in order to see what Disney does with the program. There will be a D23 convention in Anaheim this September which can be attended by members and nonmembers alike. Al Lutz and Jim Hill share more details about the new endeavor and critique what is known about the program thus far. J.C. Loophole also has posted info on D23 over at The Shelf. For extra fun, check out the Yesterland column on the Magic Kingdom Club, which is sure to stir up memories for many longtime Southern Californians. THE LUCK OF THE IRISH is a grand film, a whimsical fantasy which features Tyrone Power at his most handsome and charming. It's a wonderful way to spend 99 minutes, and what better day to watch it than St. Patrick's Day? Steven (Power) is a writer whose car meets with a mishap as he tries to find his way around Irish roads. He spends the night at an inn run by Nora (Anne Baxter) and also has a run-in with a leprechaun (Cecil Kellaway). Or did he dream up the little man, the waterfall, and the pot of gold? But if it was a dream, where did Steven get that centuries-old doubloon in his pocket, and why do his wishes keep coming true? Steven soon returns to New York to run the political campaign of David Augur (Lee J. Cobb). Steven feels like a sellout at times, but is tempted by the prospect of running Augur's publishing empire, as well as by Augur's daughter Frances (Jayne Meadows). Steven feels his new Irish manservant Horace (Kellaway) looks strangely familiar, but can't quite figure out why. And then Nora ends up in New York too, and Steven finds his life at a crossroads. I enjoyed this film from start to finish, and the ending is particularly delightful. I suspect THE LUCK OF THE IRISH owes some of its inspiration to the "Scottish" musical BRIGADOON, which opened on Broadway roughly 18 months before THE LUCK OF THE IRISH was released. The opening, with the lost hero stumbling into a fantasy world, and the later conflict where he is torn between a glamorous life (and girlfriend) in New York City and the simpler pleasures found in Scotland or Ireland struck me as quite similar. That said, the film is credited with being based on a novel by Constance and Guy Jones, who also wrote the book which inspired the William Powell-Ann Blyth fantasy MR. PEABODY AND THE MERMAID, released the same year as THE LUCK OF THE IRISH. Power is simply wonderful. He has a real knack for comedy -- some of his reactions to the goings-on around him are priceless. Baxter is charming as Nora, and Meadows is also excellent as a young woman who knows what she wants and sets out to get it. Kellaway previously starred in another excellent fantasy, I MARRIED A WITCH (1942). He received an Oscar nomination as Best Supporting Actor for his role in THE LUCK OF THE IRISH. 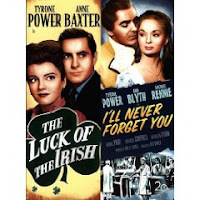 The DVD copy which is part of the Tyrone Power Matinee Idol Collection allows viewers an interesting color choice: it can be watched with the Ireland scenes tinted green, as it appeared when the film first played in theaters, while the New York scenes are in black and white. I thought the green tint gave the film some wonderful additional "atmosphere." If you prefer a straight black and white print, that's also an option. The lovely score, which utilizes traditional themes including "Greensleeves," was by Cyril Mockridge. 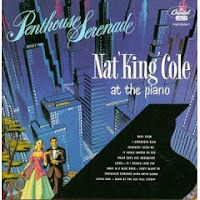 Lionel Newman was the music director, with orchestrations by Herbert Spencer and Maurice De Packh. The music sets the tone from the opening credits and adds a great deal to the film. I'm always glad to see director Henry Koster's name in the opening credits. Koster films I've enjoyed recently include THREE SMART GIRLS (1936), THE RAGE OF PARIS (1938), FIRST LOVE (1939), and COME TO THE STABLE (1949). I've now seen six of the ten films in the Tyrone Power Matinee Idol set and loved them all. THE LUCK OF THE IRISH is paired on a two-sided disc with another Power fantasy, I'LL NEVER FORGET YOU (1951). Extras include a very nice featurette, "Jayne Meadows Remembers," as well as photo galleries. Reviews of other films in the set: LOVE IS NEWS (1937), SECOND HONEYMOON (1937), DAY-TIME WIFE (1939), and THAT WONDERFUL URGE (1948). THE LUCK OF THE IRISH is also shown from time to time on Fox Movie Channel. 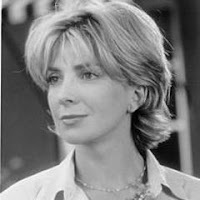 I was very sorry to hear that actress Natasha Richardson has suffered a very serious brain injury due to a skiing accident. The actress, who is married to Liam Neeson, was transported from Montreal to New York today with an emergency medical team. In 1987 my husband and I had the good fortune to see Richardson starring in a London stage production of HIGH SOCIETY, in which she played Tracy Lord opposite Trevor Eve's C.K. Dexter Haven. Richardson was excellent in the starring role. The musical was at the Victoria Palace Theatre; I brought home an LP, purchased at the theater, as one of my trip souvenirs. Richardson's film credits include Disney's remake of THE PARENT TRAP (1998) and MAID IN MANHATTAN (2002). Richardson's sister, Joely, is also an actress (THE PATRIOT, RETURN TO ME). Their mother, of course, is Vanessa Redgrave. In the late '70s I saw a marvelous stage production of AS YOU LIKE IT directed by the actresses' father, the late Tony Richardson, in Long Beach, California. It starred Stockard Channing and Ian McShane. Hopefully there will be more encouraging news about Ms. Richardson's condition available soon. Update: Unfortunately, multiple unconfirmed reports indicate Ms. Richardson's condition is "not good," but there is still uncertainty about her exact status. The family is expected to issue a statement on Wednesday. Wednesday Update: Very sad news tonight. Thursday Update: Broadway theaters dimmed their lights tonight in Richardson's honor. The BBC has brief footage of Richardson's family attending the tribute. Friday Update: 52 theaters in London's West End have also dimmed their lights in tribute. Coy Watson, the eldest of the large Watson family of child actors and photographers, has passed away at the age of 96. Coy Watson began appearing in silent movies as an infant. He appeared in over two dozen films, many of them made at Mack Sennett Studios. After the late '20s, Watson left movies for the other family business, photography. 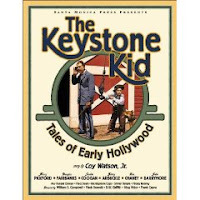 A few years ago Watson published a memoir, THE KEYSTONE KID: TALES OF EARLY HOLLYWOOD. More info on the very interesting Watson family can be found in my post on Coy's brother Delmar, who passed away last fall, and at the Watson Family Photographic Archive. 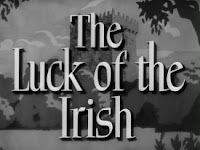 I'm hoping to celebrate by fitting Tyrone Power's THE LUCK OF THE IRISH (1948) into my schedule later today. In the meanwhile, here are links about "Irish" movie viewing from St. Patrick's Day of 2007 and 2008: THE IRISH IN US (1935) and THREE CHEERS FOR THE IRISH (1940). The latter film airs overnight tonight on Turner Classic Movies -- if you like Dennis Morgan, Priscilla Lane, and Irish-Scots blarney, set your recorder! Update: Here is the post I wrote about THE QUIET MAN (1952) after seeing it on the big screen on the USC campus last fall. My recent viewing of SHE LOVES ME (1978) and DVD acquisitions of EAST OF EDEN (1981) and AND BABY MAKES SIX (1979) prompted me to muse on other TV-movies and miniseries of the late '70s and '80s I'd like to see released on DVD. I jotted down a list, which I initially intended to use for a single post, but instead I've decided to break my list down into a series of posts focusing on specific titles or the TV-movie and miniseries work of particular actors. First up: Hallmark Hall of Fame's BEAUTY AND THE BEAST, starring George C. Scott and Trish Van Devere. 15 years before Disney's classic cartoon, I fell in love with the story in a TV-movie. The production was nominated for three Emmy Awards, including George C. Scott as Best Actor. It was directed by Fielder Cook (THE HOMECOMING: A CHRISTMAS STORY) and costarred Virginia McKenna. The film is relatively short (74 minutes), and I think it was shown in a 90-minute time slot, filled out, I'm sure, with Hallmark card commercials. A comment at IMDb states: "I saw this television presentation over a quarter of a century ago and for my money, it was one of the most lovely things television ever gave me." Hallmark has released a number of their productions on both video and DVD; it's curious to me this highly regarded film has not had a release. I'd love the opportunity to share this film with my children and see if it measures up to my fond memories.